Sending bulk SMS provides all companies, associations and organizations the ability to communicate and interact with both customers and employees/partners. Currently, one of the sectors that benefits most from Mobile Marketing is the sports and entertainment or leisure sector. One of the reasons is because of the age range of people who play sports or leisure activities matches the age range of mobile phone usage. Thus messages reach the user in a fast, secure and instant way. Schools: It offers good service providing information, news or notices to students in any schools like dance, water sports, sailing,surfing, skating, etc. Event planning: Through our online platform, you can send messages in bulk delivering a better service at your events (championships, racing, etc.) and sending confirmation of registration or final results. Gyms or other sports clubs: Takes care of new members and looks after existing ones thanks to sending loyalty offers and relevant information. Mountain sports or flight federations: both mountain (mountaineering, canyoning, climbing ...) and air (skydiving, paragliding, hang gliding ...) sports, online SMS help to have a better communication with members. We suggest you take a look at the sector Meteorology, as it may be of great interest. 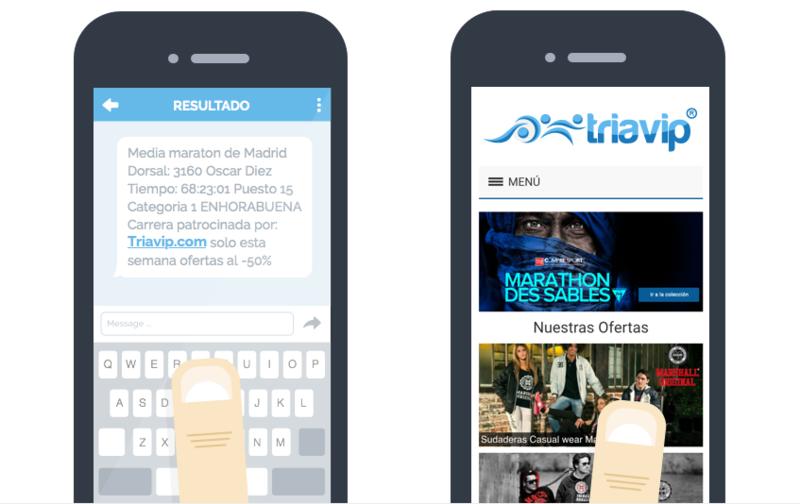 Through our online platform or integrating our API software in your business (pubs, discos, bars, cinemas, theaters ...) you can send promotional or informative messages to your customers ..
Communication of offers and promotions. Confirmation of ticket purchase or shipment or tracking code. Information about future openings, campaigns, promotions, etc. Indications of the venue where the event will take place with proper information. Notifications of final results of the participants. Confirmation of registrations or cancellations. Reminder of class schedules or updates as information changes.